Improve horsepower, torque, and sound in your 1994-1995 Mustang 5.0 with this Pacesetter black longtube header kit! 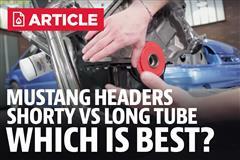 Improve the performance of your 1994-1995 Mustang GT or Cobra with a set of these PaceSetter longtube headers! Your factory exhaust manifolds are small and restrictive which limits the flow of exhaust from your engine. 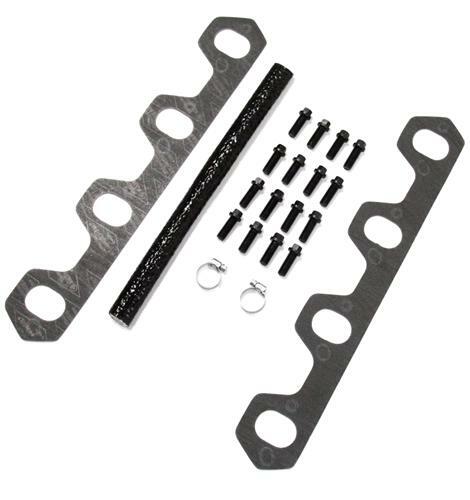 Replace those restrictive manifolds for a more free flowing exhaust with this longtube header kit! Featuring 1-5/8", 16 gauge steel primary tubes, these headers increase horsepower and torque, as well as provide an improved exhaust tone! These mandrel bent primary tubes flow into a 2-1/2" collector in the proper firing order to maximize scavenging. Pacesetter ensures a perfect fit to your cylinder head with plasma cut, CNC-machined, 3/8" thick flanges. New gaskets and hardware are included for a quick and easy installation. -These headers do not have a provision for the EGR tube. 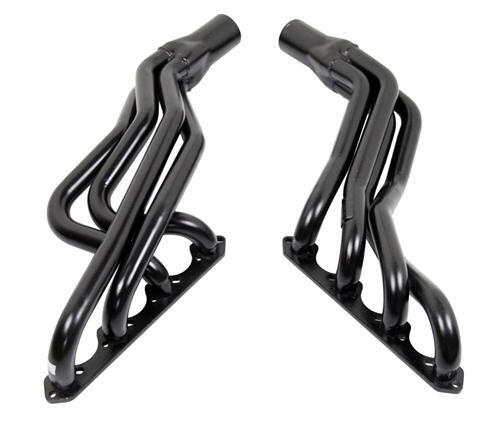 -Use with Pacesetter X-Pipe PAC-821143 to connect these headers to your cat back exhaust. Will not fit automatic transmission applications.